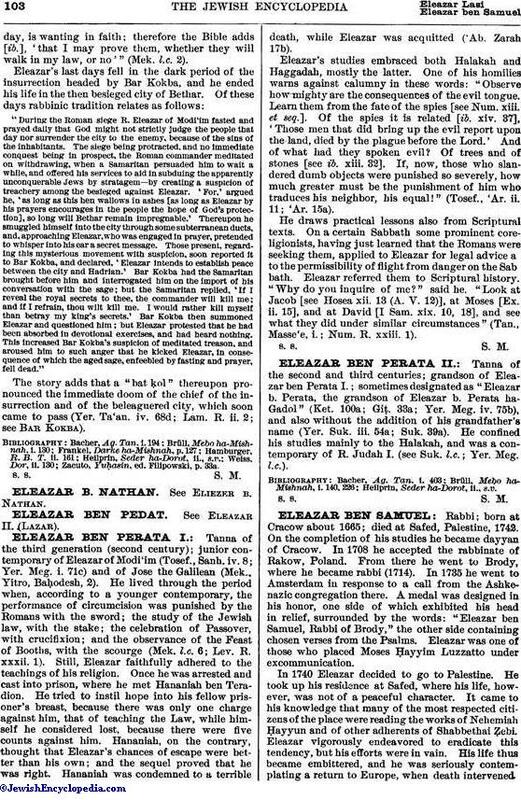 Tanna of the second and third centuries; grandson of Eleazar ben Perata I.; sometimes designated as "Eleazar b. Perata, the grandson of Eleazar b. Perata ha-Gadol" (Ket. 100a; Giṭ. 33a; Yer. Meg. iv. 75b), and also without the addition of his grandfather's name (Yer. Suk. iii. 54a; Suk. 39a). He confined his studies mainly to the Halakah, and was a contemporary of R. Judah I. (see Suk. l.c. ; Yer. Meg. l.c. ).